It’s been a long time since there’s been a DSLR that has truly excited professional and enthusiast photographers. We’ve seen some solid upgrades over the last few years, but few cameras that have really pushed DSLR technology forward. Nikon surprised everyone with the D850 by throwing the best of all their technologies into a single professional, do-anything body. This article, and the video, are provided by our friends at The Camera Store, and their excellent TheCameraStoreTV Youtube Channel, which we highly recommend you subscribe to. While on YouTube, also check out our channel. Oregon proved a perfect location to test the D850 in a variety of conditions. While I was hardly surprised to see it excel at landscape and portrait shooting (where the D810 has been a workhorse), the D850 was also extremely capable shooting action and video. At a time when mirrorless cameras are grabbing most of the headlines, it was a pleasure to use a DSLR where Nikon’s decades of refinement were very evident. While most aspects of the D850 have been seen before in other models, image quality was the big unknown. The new sensor had some huge shoes to fill, as I found that the D810 produced some of the nicest files of any digital camera on the market. While we did not see any dramatic improvements in dynamic range or high ISO performance, it’s extremely impressive that the D850 maintained the D810’s strengths, while making huge gains in resolution. The D850 is not a perfect camera however, but most of the limitations come into play when taking your eye away from the optical viewfinder. After being blown away by the silent shooting of the Sony a9, the Nikon D850’s implementation when using live view is comparatively clumsy. While in Silent Shooting mode, Nikon’s live view AF is woefully inconsistent, and rolling shutter wobble makes photographing moving subjects an exercise in frustration. The focus stacking and 8K time-lapse capabilities also require external software to make use of these features. These are small complaints, though, and on the whole I feel the Nikon D850 represents the most complete DSLR package on the market. I have trouble thinking of any photographic situation where a D850 wouldn’t get the job done. Now it’ll be exciting to see how the other camera makers respond…. 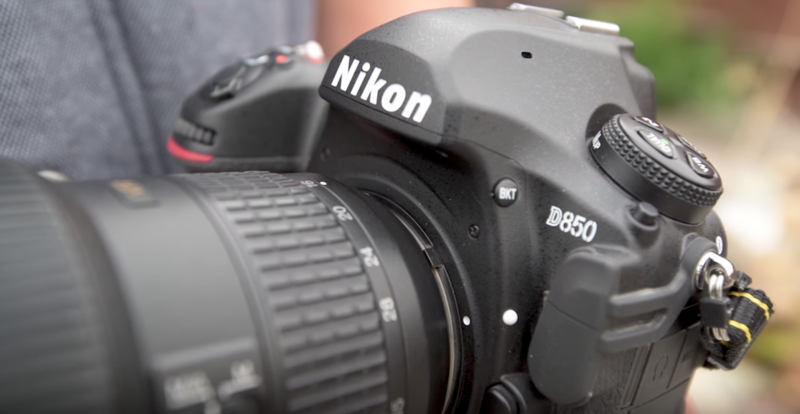 Check out Digital Photo Pro’s Nikon D850 Hands-On Review and learn why we loved shooting with the DSLR.